If there are clear skies where you are this evening, look up at the supermoon. What’s that? you ask. A supermoon? Did someone put a cape on the moon? No, silly, a supermoon is just another term for the Perigee moon, meaning the moon is bigger and brighter than it has been in the past 20 years. And it’s all happening tonight! 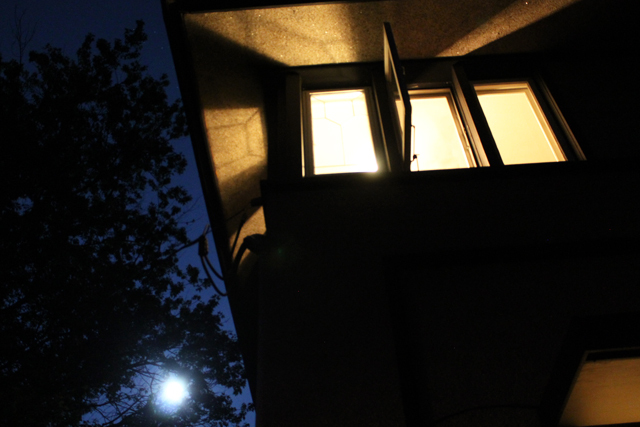 This entry was posted in city boys, Our Story, small town life and tagged delbert meier house, perigee moon, summer, supermoon, windows on 08/10/2014 by Jason. I don’t know how it was where you live, but here at the dream house we experienced one of the worst winters in the history of ever. We’re talking 50 below zero wind chills and snow piled as high as mountains. Seeing the leaves return to the trees feels like some sort of reward for surviving the worst that Mother Nature can dole out. 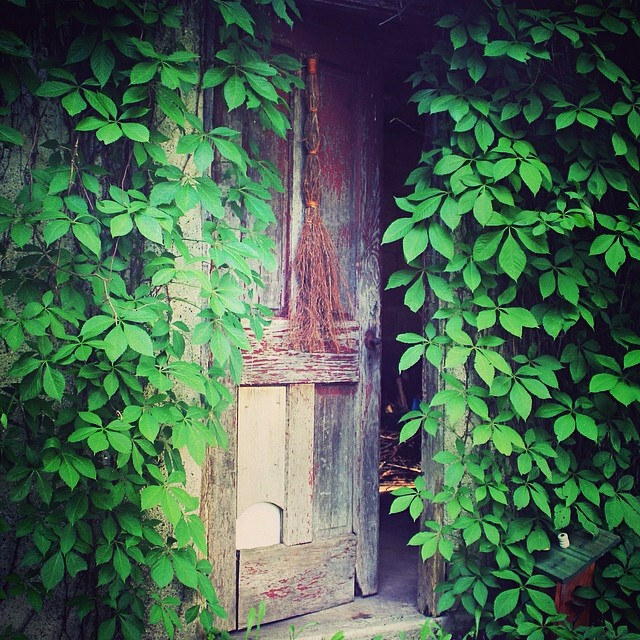 Every time I look out the window and see the lush green vines covering the carriage house, I breathe a sigh of relief. Winter is but a distant memory to me now. We’re living the lush life. This entry was posted in city boys, dream house and tagged summer, weather on 06/06/2014 by Jason.